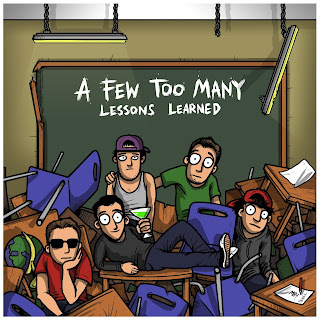 ‘Lessons Learned” is certainly sweet and sugary, but maybe a bit too of the latter. First song I Always Knew has a quite conservative pace for an album opener and there’s a hint of auto-tune within the vocals, but there only minor quibbles from this writer. Moving Forwards sounds much more promising especially as the US-accented singing that filled I Always Knew is tempered down somewhat. One thing is for sure though, the New Found Glory influence is definitely there. You’ll really will the tempo of First Last Kiss to increase but it doesn’t, which is a little disappointing as it’s a decent song. They venture into acoustic territory on At Our Pace, which I think actually suits them better. As a band they sound a lot more organic. Young is A Few Too Many’s attempt at a good old skater anthem and they make a good fist of it. There’s a cool low-fi guitar sound on Reason and I was kinda hoping for some gruff-punk vocals to go along with it, as I’m still finding it all a bit too sickly. X is another acoustic number with a folky undertone to it. The urgency of Complications is much needed and the thicker guitar sound is good too, while Battle Within makes for a really dramatic ballad of sorts. The penultimate title-track is full of emotion and atmosphere, which hasn’t really been present on the rest of the record. 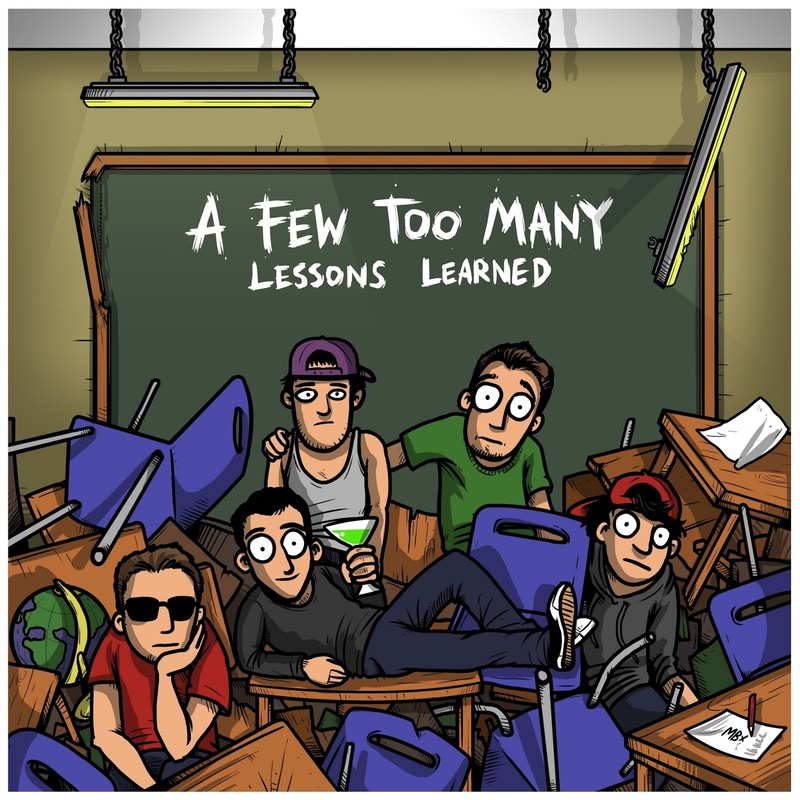 I guess it’s not what A Few Too Many were really aiming for with “Lessons Learned” but it shows that their song-writing skills are there at least. Closing song Escape To LA sums up both this album and A Few Too Many for me. They’re certainly good at what they do, but they’re too clean and too caught up with sounding like their influences. If they can settle down and allow and their music of mature, they could really build a following and shoot up through the UK pop-punk scene. You can listen to both Moving Forwards & At Our Pace via their website here, where the album is also available for pre-order - http://afewtoomany.co.uk/music.html.